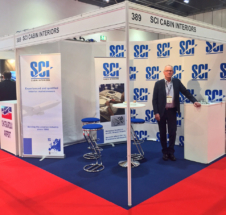 SCI Cabin Interiors is a family business, being present at Arlanda Airport since mid-sixties and since serving airline companies, MRO’s and operators in Northern Europe. 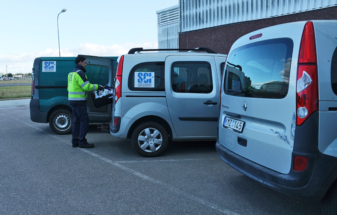 From our 24-hour fully equipped facilities at Arlanda Airport we are able to offer reliable and qualitative services at short notice at very competitive prices – regardless of where you are located. In 2014 HQ was established at Arlanda in connections to the workshop, around the same time the present Managing Director Sara Öberg takes over, being the third generation running the company. Sollentuna Bilsadelmakeri AB was founded in 1962 by Gösta Öberg. Then, the main occupation was to supply refurbishment services to the then prospering car and boat industry. In 1966, Scandinavian Airlines, SAS, contacts Gösta regarding help with refurbishment onboard their aircraft fleet. This turned out to be the start of a cooperation between the companies which is still today on-going. As the airline industry monopoly is dismantled in the late 1980’s, new airline companies arises and this customer base for Sollentuna Bilsadelmakeri increases. When Gösta retires in 1996, he passes the company over to Bo, who decides to focus mainly on the expanding aviation industry. A work shop and office are set up at airside Arlanda Airport and a new company identity is launched – Sollentuna Cabin Interiors; SCI. To further accommodate the requirements of the aviation costumers regarding applicable regulations, safety and quality standards specific for the industry, JAR 145/EASA 145-approval is received in 2002. 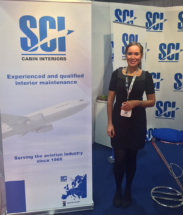 By then, SCI was one of the first MRO’s in Scandinavia specializing in cabin maintenance. In 2014, after almost twenty years running SCI, Bo decides to take a step back and passes the company over to his children and his brother. Daughter Sara Wockenfuss takes over as Managing Director and Accountable Manger, while Bo is remains as Engineering Director and Senior Advisor on part time basis. With the new management head quarter is established at Arlanda Airport in connection to the workshop and the facilities undergoes a complete facelift. Late in 2015 SCI expands its service portfolio with the setup of a laundry establishment with both wet- and dry cleaning machines enabling various kinds of cleaning services for our customers. Throughout the years, SCI has worked in both line environment alongside base- and heavy maintenance (C-checks, D-checks etc). Added, we’ve supported several customers; airline companies and operators to develop a cabin interior maintenance program for their fleet aiming to maintain a high standard in the cabin with regards to traffic program at the same time keeping costs both low and predictable. A well-executed cabin interior maintenance program with adequate content can save costs up 25 % and generate additional values such as increased passenger experience and comfort, and invoke a feeling of safety. Employees and management are dedicated to meet the customer’s need and expectations – no matter the complexity of the task. During the years, staff turnover has been low. From simpler cleaning work to comprehensive refurbishments SCIs skilled mechanics and committed management work efficient and with a great attention to details. 1974 Gösta’s son Bo joins the company, concentrating on the aviation side of the business. The monopoly within the airline industry comes to an end during the late 1980’s. As new airlines opens in the market, this customer base for Sollentuna is constantly increasing with number of airlines. Gösta retires in 1996 and passes the company over to Bo, who decides to focus 100 % on the internationally expanding aviation industry. He sets up a work shop and a head quarter at airside, Arlanda Airport. 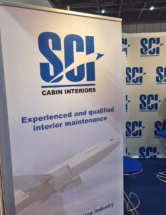 One step of the business expansion to aviation is a new company identity – Sollentuna Cabin Interiors, SCI – which was launched during this period. Next step to tie the company closer to aviation industry and the regulation and quality standard specialized for the industry and received JAR 145 / EASA 145 –approval in 2002.